NEW YEAR - NEW PRICE. Fantastic Location use or build new! Oversized 80 x 100 lot. 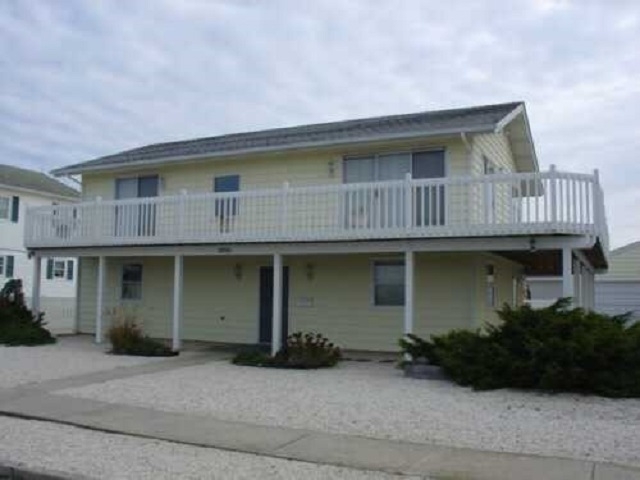 In the exclusive quiet south end of Stone Harbor is this immaculate 5 bedroom upside down style vacation home. Bright and airy, it features an open living room and dining room on the upper level with incredible views of the wetlands. A newly remodeled kitchen offers many amenities. Enjoy the spacious wrap around deck for your outdoor entertainment. The first floor includes a separate family room in addition to a second master bedroom with powder room. Only two blocks from the beach, don't miss this ideal beach home with its breathtaking sunsets overlooking the waterways! Being sold fully furnished less some personal items.